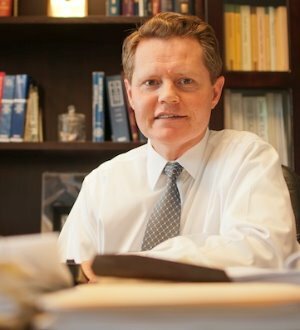 Long motivated by a desire to see justice served through proper application of the law, Daniel F. “Frank” Blanchard, III is actively involved in civil trial work with emphasis in employment, civil rights, personal injury, consumer law, business litigation, and probate, estate, and trust cases. Frank attended Greenville’s Furman University, where he was inducted into the Phi Eta Sigma Honor Society and received the Furman Scholar and Kennedy Foundation Scholarships. During his subsequent studies at the University of South Carolina School of Law, he was named to the Order of the Coif, the Order of the Wig and Robe, and the John Belton O’Neall Inn of Court. He also earned the American Jurisprudence Award for highest class average in Evidence. In addition, Frank served as Associate Editor-in-Chief of the American Bar Association’s Real Property, Probate & Trust Journal and received the Journal’s Outstanding Service Award. Frank has published numerous articles about trade and workplace legal matters and delivered lectures on employment law, interference with contracts, business relations, workplace violence issues, the South Carolina “Lemon Law,” motor vehicle warranties, legal drafting, and residential apartment management. He maintains the highest professional rating in the Martindale-Hubbell Law Directory.